This notebook is in the final stages of production and should launch in a few weeks! There are two versions, Unit/Monthly and Weekly. The Homeschool Notebook by Mama’s Notebooks provides you with a convenient and efficient way to lay out unit or monthly school plans. Each planning chart faces a calendar so that you can map out what you are doing and then plan out when you are going to do it. The rear section of the notebook has space for you to plan out schedules, chores and routines, track field trips, list resources and activities, keep wish lists, recap and brainstorm for next year—all in one notebook! This notebook is great for homeschoolers doing unit plans, whole month plans, eclectic homeschooling, and people schooling several little ones at once. It is a great way to plan and supplement a standard curriculum with extra subjects and activities. 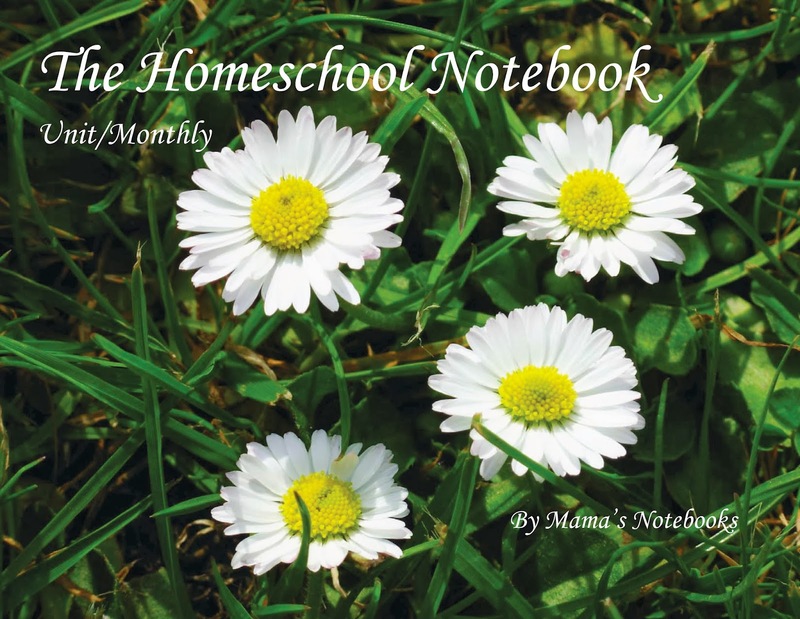 The Homeschool Notebook by Mama’s Notebooks provides you with a convenient and efficient way to lay out unit or monthly school plans. Each planning chart gives you room to lay out nine subjects, Monday-Friday. The chart boxes are made to have space for listing plans for more than one child. The rear section of the notebook has space for you to plan out schedules, chores and routines, track field trips, list resources and activities, keep wish lists, recap and brainstorm for next year—all in one notebook! Included are 52 week pages for families who homeschool year round or in case you just need a fresh sheet to rework one of your weeks. There’s plenty of space! Pages are not pre-dated so that you have maximum flexibility in customizing the notebook to your family’s needs.